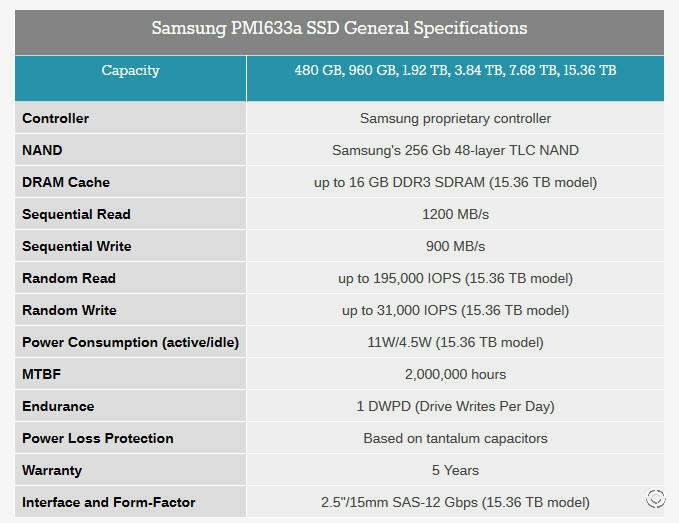 [ #SSD #Samsing ]Samsung announced that The world's largest SSD is now shipping for $10,000. 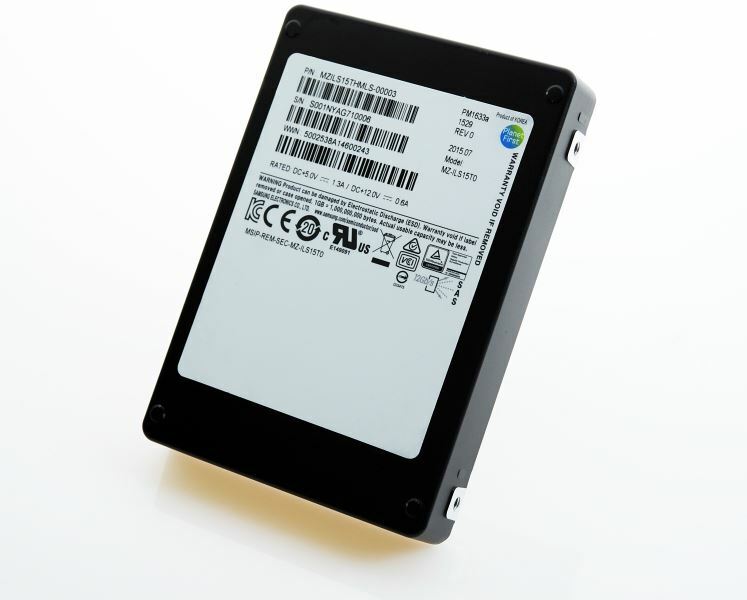 It's Samsung PM1663a SSD which has 15TB or 7TB capacities. 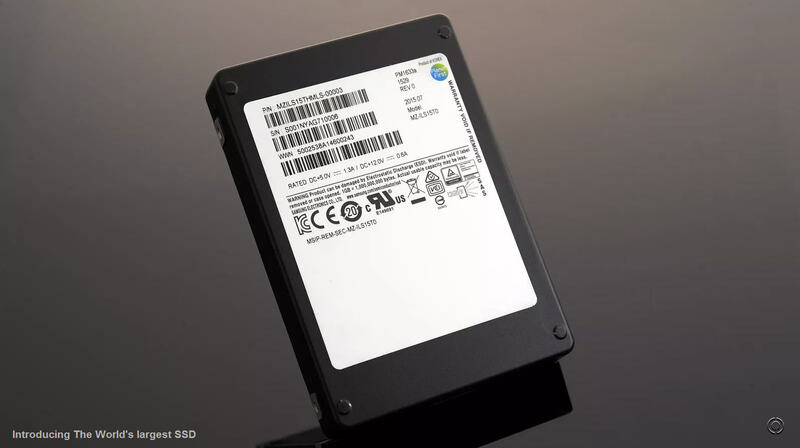 The 15.36TB SSD sells for around $10,000 making it one of the most expensive SSD storage drives around. Pricing on the larger SSD varies significantly retailer to retailer with CDW asking $10,311.99 while SHI wants a more reasonable $9,690 for the same thing on pre-order. You can also get a 7.68TB version of the drive for a bit over $5,700. Random read/write operations are 195,000 and 31,000 IPOPs respectively. Those wanting to spend less money and needing less storage can also opt for 480GB, 960GB, 1.92TB, 3.84TB, and 7.68TB models. Power consumption is around 11W active and 4.5W idle for the SSDs.